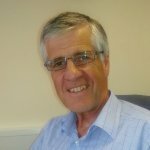 Adrian Viles is a Business Consultant/Adviser with over 30 years of hands-on experience in delivering strategic planning, culture change and performance improvement in the manufacturing, public, educational and not-for-profit sectors. He has been a trainer, coach, mentor and motivator to management at all levels. Also, he is a Fellow of both the Institute of Engineering Technology and Institute of Consulting.